Laura Mercier is best known for its high coverage and long lasting foundations and concealers, and I've had the High Coverage Concealer for Under Eye for awhile since last year, so I figured it was about time for me to do a review! I love my concealers for both face and undereye, and I'm always trying out whatever is new in terms of base makeup, so I was naturally extremely excited about this! I have the High Coverage Concealer for Under Eye in Shade 2, which is described as "Light Intensity with Warm Undertones". Of course, while this is formulated with undereyes in mind, you're free to use it for other parts of the face too! Well, without further ado, let's get on with the swatches, and a before-and-after on my own eye (which does not lack in the dark circles department, let me tell you that)! And because I'm an ingredients nerd, we'll also take a look at the ingredients in this concealer and see what makes it so special. As you can see from the swatch above, #2 is a light warm beige with a salmon-peach-y lean. So although it's described as having warm undertones, in this case, the warm undertones translate into a peachy shade rather than a yellow shade. 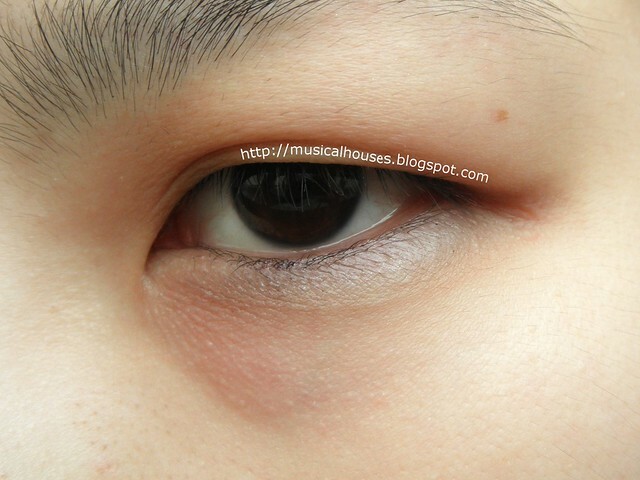 My default concealer shade for the rest of my face (blemishes and the like) is yellow, but in this case, the peach shade works very well to counteract the brown circles in my undereye. As a general rule, purple/blue undereye circles are best covered by yellow concealers, while brown undereye circles are better covered by salmon shades. Also, this is massively pigmented. That little smudge you see in the swatch photo above was sufficient to cover my entire undereye! Here's a little demonstration to prove this point. Below, is my undereye circles, with no makeup or skincare or anything. I don't know why, but although I have really small puny eyes, my eyebags are really big and dark! In fact, I suspect my eyebags are bigger than my actual eyes. 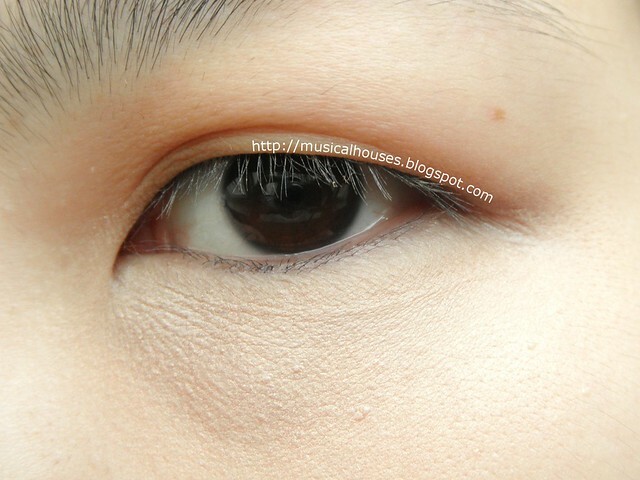 And below, my eye circles are covered pretty well! (Don't mind me, I also got the concealer on some of my lashes.) Of course, you can still see the bulge and puffiness where my eyebag is, but the brown discolouration of the undereye area has been covered up pretty nicely! It also has a long wear time, lasting pretty much the whole day, unless I rub my eyes vigorously. One thing to note about the High Coverage Concealer for Under Eye is the texture, which is quite creamy, thick, and fairly dry - almost paste-like. If you are used to concealers with a watery, fluid-like texture, this may take some getting used to. But despite the thicker texture, this is actually quite easy to work with, and it looked good when blended out with either fingers, concealer brush, or beauty blender. Also, because of the thick texture and the fact that my undereye skin is a tad on the dry side, you can see that the concealer "clings" a little to my skin, although this can be easily alleviated with a little eye cream underneath. Caprylic/Capric Triglyceride, Ricinus Communis (Castor) Seed Oil, Ethyl Macadamiate, Butylene Glycol Cocoate, Stearalkonium Hectorite, Tribehenin, Boron Nitride, Silica Silylate, Triethoxycaprylylsilane, Tocopheryl Acetate, Propylene Carbonate, Glycerin, Water/Eau/Aqua, Mel/Honey/Miel, Tocopherol, Malic Acid. May Contain/Peut Contenir/ (+/-): Ci 77891 (Titanium Dioxide), Ci 77491, Ci 77492, Ci 77499 (Iron Oxides). The ingredients in this concealer are emollients (Caprylic/Capric Triglyceride, Ricinus Communis (Castor) Seed Oil, Ethyl Macadamiate), emulsifiers (Butylene Glycol Cocoate, which also has emollient properties), thickeners, stabilizers (Stearalkonium Hectorite, Tribehenin, both of which also have emollient properties, and Propylene Carbonate), and other functional ingredients like absorbents (Boron Nitride, Silica Silylate) and binders (Triethoxycaprylylsilane). There's also Vitamin E (Tocopheryl Acetate, Tocopherol), humectants (Glycerin), Water, Honey, an AHA (Malic Acid), of course the pigments that give the product its colour (Titanium Dioxide, Iron Oxides). As you can see from the ingredients list, this is a product that is fairly heavy on the emollients, as might be suitable for a concealer targeted at the undereye area. Even the emulsifiers and thickeners also have emollient properties. Water is quite far down the list, which would explain the thicker, creamier texture of the concealer too. 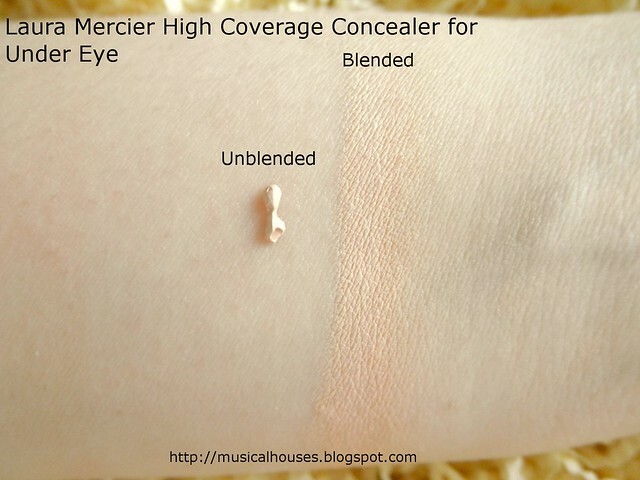 Also, although people are probably buying this concealer more for the quality of its coverage and its excellent pigmentation than for any purported skincare benefits the product might have, it turns out that it does indeed have ingredients that can add some skincare benefit - in addition to the emollients, there is also Vitamin E, Honey (which can have some antioxidant benefit), and Malic Acid, which is found naturally in fruits and functions as an AHA. Interestingly, although this product doesn't advertise itself as being "natural", quite a number of its ingredients are either natural or can be derived from natural sources like plants (Caprylic/Capric Triglyceride, Ricinus Communis (Castor) Seed Oil, Ethyl Macadamiate, Butylene Glycol Cocoate, Tocopherol, Honey, Malic Acid). Obviously, Laura Mercier doesn't need to brand the concealer as a natural one to sell it, since the product's performance is already a standout, but for those who like such things, I guess by concealer standards, this seems to have a higher proportion of ingredients that are natural or can be derived from natural sources. Lastly, for those who are interested, I thought I would do a quick comparison with another Laura Mercier concealer that I bought quite some time back, the brand's iconic Secret Camouflage, a concealer with two shades for blending and creating the perfect shade. As you can tell from the amount of pan showing, I've had this for awhile, and I've used it very well because it does cover virtually everything. 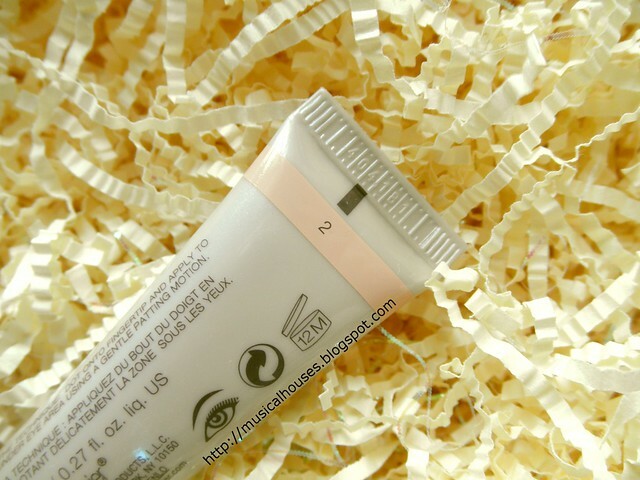 Prior to trying the High Coverage Concealer for Under Eye, this was my go-to concealer when I knew I was going to be photographed at a social event or activity. It looks good and photographs well. 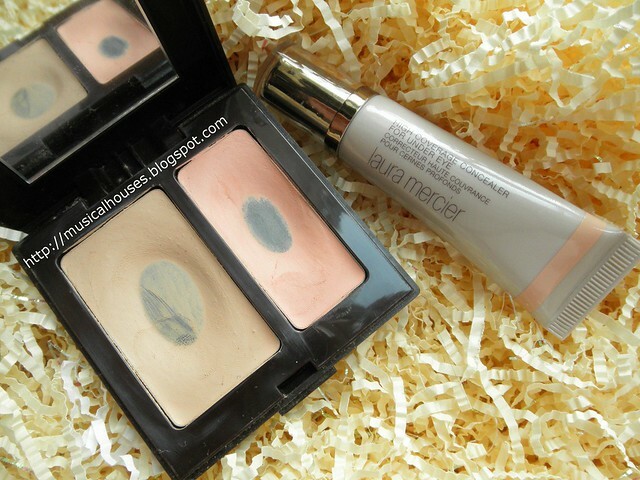 Although Laura Mercier tends to fly under the radar sometimes, because "boring" products like foundations and concealers are just less exciting to write about, you can tell that my love affair with Laura Mercier goes back quite some years! 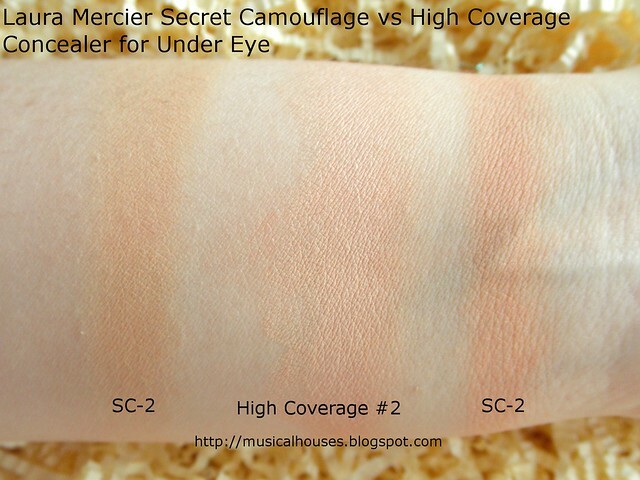 Compared to the Under Eye High Coverage Concealer #2 shade, both of the SC-2 shades are darker. The main yellow shade is both darker and yellower than the High Coverage Concealer #2 shade, as it doesn't have any of the salmon peach tint in it. Meanwhile, the darker peach shade in the Secret Camouflage SC-2 compact is also darker and more orange than the High Coverage Concealer #2. So shade-wise, no dupes here. Both also cover excellently and blend out well, and are great choices for full-coverage concealers. Texture-wise, you can tell from my swatches that the Secret Camouflage is a lot more dry in texture, and is not as creamy. 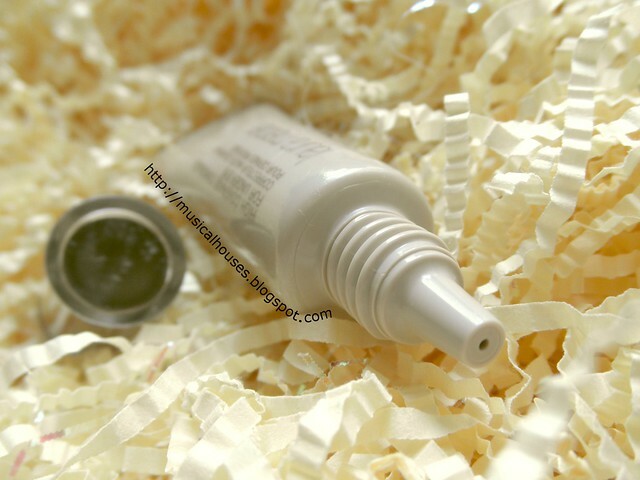 If you're using this on your undereye, then you probably needs an eye cream underneath if your skin is dry. I personally use the Secret Camouflage more for my face (e.g. for covering blemishes) since I do have a bit of oiliness in my skin, while I use the High Coverage Concealer more on my undereyes, which could do with a bit more moisture. 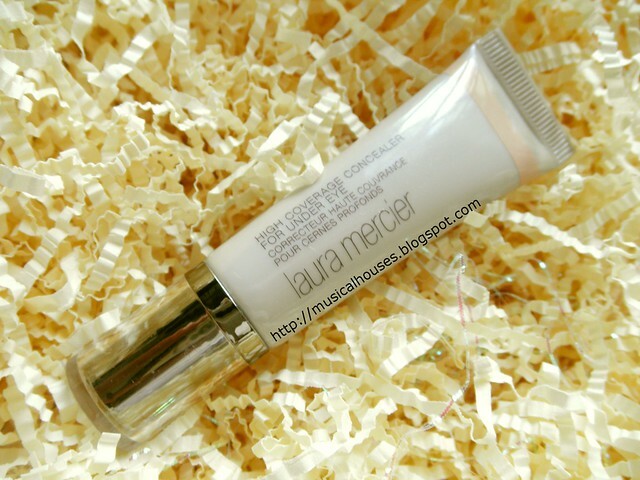 So, would I recommend the Laura Mercier High Coverage Concealer for Under Eye? I'm sure I don't need to tell you that my answer is a resounding yes. I really can't fault this product - the coverage is excellent, I like the salmon peach shade, it blends out well, and has great staying power, and the formulation of the concealer is very nice to boot. Perhaps the only people who might not like it are those who prefer their concealers to be more fluid, or those who have really dry undereye skin, to the point where even layering eye cream underneath this might not work. At SGD$42 for an 8ml tube, this isn't the cheapest concealer around, but if price is no object, I doubt you will be disappointed. The Bottom Line: Laura Mercier's High Coverage Concealer for Under Eyes is a great all-around concealer, with excellent pigmentation, lasting power, blendability, and a good formula. That really does a good job covering up on you, I'm tempted but wonder that it might be a bit too dying for me and not enough coverage (I've tried LM Secret Camouflage for my under eyes but even that doesn't offer enough coverage). I've really been needing a good concealer, and this sounds just so so good! Thank you for the review! Great review as always. Well, I think this is something worth checking out. I agree that it has a beautiful shade and great coverage as well. A must try indeed. Hi,may i know where can i get it? i check on Sephora but i cant find the high coverage concealer.